To collect and return interstitial fluid, including plasma protein to the blood and help us maintain a fluid balance. To defend the body against disease by producing lymphocytes and antibodies. To absorb lipids from the intestine and transport them to the blood. It’s an integral part of the body’s defence mechanism. It stores and releases lymphocytes to fight infection. It supports the digestive system by counteracting infection and absorbing fat. The lymphatic system is comprised of lymphatic vessels, lymph nodes, the lymph itself as well as specialized lymphoid organs such as the tonsils, thymus, and spleen. Bone marrow can also be considered as contributing to the lymphatic system. The circulation of fluids as lymph starts with the creation of interstitial fluid. Interstitial fluid is formed by components of blood plasma leaking out at the blood capillary level, surrounding the local cells, providing the means by which useful substances and waste products are exchanged at the tissue level. This fluid moves slowly past the cells through unorganised pathways, sometimes referred to as tissue canals. There is about 3 litres of interstitial fluid not reabsorbed by the blood capillaries. Instead this excess fluid enters the lymphatic system via the lymphatic capillaries. Once absorbed, the fluid is known as lymph. 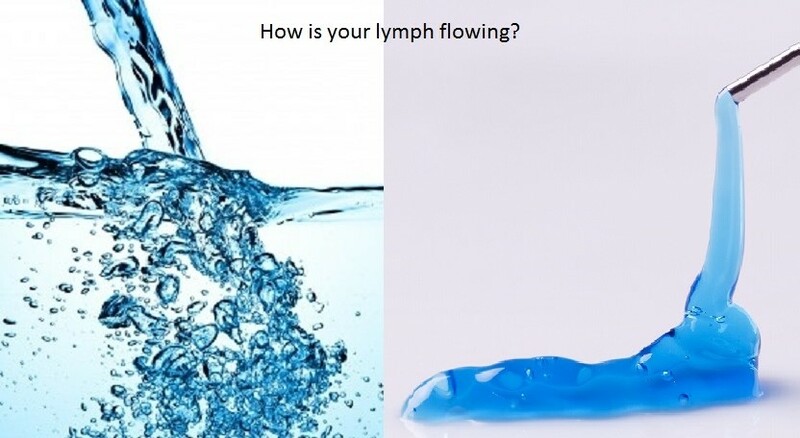 Lymphatic vessels can only carry fluid away from tissue. Lymph capillaries are blind ended which means that they are not connected to another type of vessel. Lymph is found in all regions of the body except the bone marrow, the central nervous system and any other tissue that lacks blood vessels. They feature simple one way valves which allow fluid in and then prevent it from leaving. Therefore lymph only moves in one direction. Lymph nodes are structured to filter and remove foreign substances. Lymph nodes are also where different types of immune cells are located and activated when a virus or bacteria is detected. Lymph nodes are integral to the immune system. There are 3 superficial regions on each side of the body where lymph nodes tend to cluster. The groin area, the armpits and the neck. Lymph flow is stimulated through pressure gradients created by muscular contraction and breathing. Which creates a negative pressure in the thorax which forces liquids to flow into the area. From a western point of view the spleen is not really a part of the lymphatic system because it filters blood and not lymph it is considered to be the largest lymphoid structure in the body. The spleen is anatomically similar to a lymph node and physiologically it also functions in immunity. As with everything we tend to ignore that which is working correctly. But as soon as a system malfunctions we sit up and pay attention. It is a fact that if the circulation of fluids and lymph were to stop entirely we would die within hours. Lymph has also been named as the underlying factor in a host of conditions ranging from cellulite to cancer. A sluggish circulation of interstitial fluid can lead to an unhealthy environment around the cells. If it is left stagnant the fluid fills up with waste products and toxins and if not removed or moved via the natural lymphatic process the cells enmeshed by the toxicity will become sick and eventually die. Congestion in the pelvic area will lead to, in women; endometriosis, ovarian cysts, period pain, irregular periods etc. in men to enlarged prostate and the production of sperm or lack thereof. In the diaphragm area it can lead to poor drainage around the lungs, heart and joints which can lead to arthritic joints swelling and oedema. The Veltheim method of lymphatic drainage is a highly effective in moving interstitial fluid through tissues and into the lymphatic system. The primary principal that this method of Lymphatic drainage is based on does not conform to the traditional western medical view of the lymphatic system. It is based on the right brain and intuitive principals and not left brain and medical. The techniques is not even focused on the lymph so much as it is focused on the moving of the interstitial fluid. The key to this method is to collect the interstitial fluid through a kinesthetic visualisation. To ‘dump’ it in a part of the body that will allow it to drain and create space for health and healing. 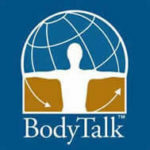 Body Talk the gift to a better you.